The small country island, Iceland is known as the cryptocurrency mining heaven. It has a population of 340.000, which normally leads to a huge amount of surplus electricity every year. 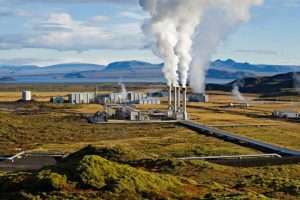 In Iceland a lot of renewable electricity get provided by hydropower plants and hot geysers which is a cheap and continuous way to get a huge amount of electricity. Over the time more and more people realised its potential and started using it for cryptocurrency mining, especially Bitcoin mining. That worked for a long time, but things has changed and the consequences are slowly developing. Iceland starts facing serious electricity supply and bill issue because of all those new companies. An Average household in Iceland consumes 700 gigawatts of power a year. Because the whole process of cryptocurrency mining requires a lot of electricity, these companies lead to an average annual consumption of 840 gigawatts. That means they overtook Iceland households by 140 gigawatt a year. Johann Snorri Sigurbergsson, the spokesman for Icelandic entry firm HS Orka admits to the BBC that he is concerned about the consequences which might follow in the nearest future. Politics are concerned that giving companies the freedom of using unlimited amounts of elctrical energy is going to be risky. They have to start giving something back instead of just using them. Iceland is the first country in the world which uses more power for cryptocurrency mining then for household consumption. Last year they consumed 24 terawatt hours, which equals the general power use of Nigeria. We don’t know how the future for Iceland will look like when they continuously facing power issues through heavy cryptocurrency mining, but we know for sure that something has to change.